Jobs Description: Ministry of Railway Jobs April 2019 can be viewed in our site. 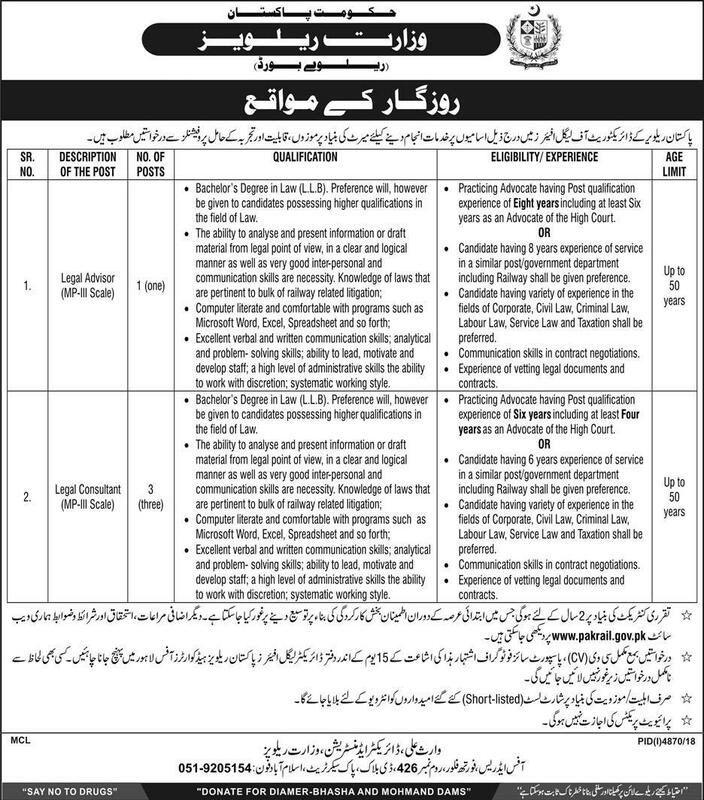 The Government of Pakistan recently announced an advertisement for Jobs of Legal Advisor and Legal Consultant in the Ministry of Railway. Pakistan Railway is one of the best and biggest railways in the world. Ministro of Railway has required the applications for the following jobs. How To Apply: The interested candidates may send their applications to the Pakistan Railway Headquarters, Lahore. Other details are available on Pakistan Railway official website.